President Trump Goes on Sunday Morning Tweetstorm: Trashes Mueller, McCabe and Liar Comey and their "Fake Memos"
President Donald Trump unleashed on Special Counsel Robert Mueller Saturday evening. This came after former Deputy Director of the Federal Bureau of Investigation was fired on Friday night. This likely prevented McCabe from receiving his full retirement at age 50. Only in government work do you get your full retirement at age 50. Earlier Saturday morning, President Trump’s lawyer John Dowd told the Daily Beast it’s time for Deputy Attorney General Rod Rosenstein to shut down the Mueller witch hunt. President Trump woke up on Sunday morning and continued to tear into the deep state operatives. President Trump: Wow, watch Comey lie under oath to Senator G when asked “have you ever been an anonymous source…or known someone else to be an anonymous source…?” He said strongly “never, no.” He lied as shown clearly on @foxandfriends. Trump was tweeting about Comey’s testimony with Senator Grassley when he lied about being a leaker. President Trump: Spent very little time with Andrew McCabe, but he never took notes when he was with me. I don’t believe he made memos except to help his own agenda, probably at a later date. Same with lying James Comey. Can we call them Fake Memos? 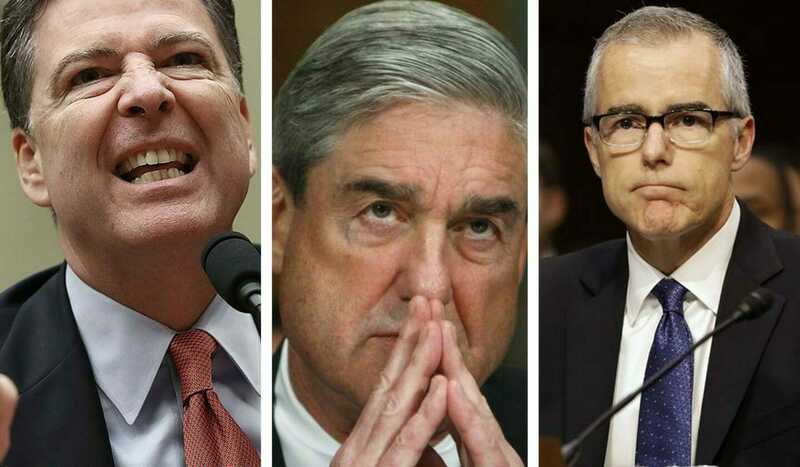 President Trump: Why does the Mueller team have 13 hardened Democrats, some big Crooked Hillary supporters, and Zero Republicans? Another Dem recently added…does anyone think this is fair? And yet, there is NO COLLUSION!